Welcome to the second edition of Serbia's only global HR event. Get your tickets today to master the latest trends in the global HR world. Tickets are limited! • The benefits of the future; What is virtual leadership and will it work for your business? Rob J.H. Veersma (1955) is since 1st February 2012 appointed as Director Training & Development at Gazprom International in Amsterdam, Nether- lands. 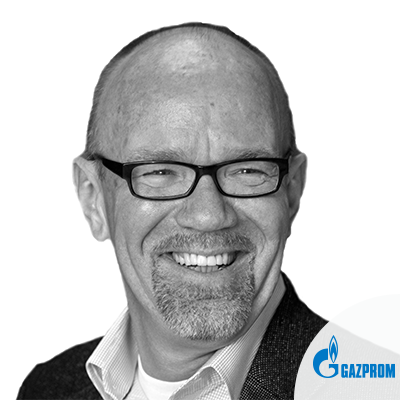 He is responsible for implementing training programs for Gazprom EP International, aligned with the competence management system and tailored to local needs. He will create integrated accelerated learning experiences for the assigned population and integrate learning into the community. He applies organizational effectiveness experiences to enable business performance improvement. Johnny Kroneld started his career as a marketing assistant for Manpower in 2005, and joined HP as part of this role in 2006 as the communication manager for HP Partners. In 2008, he joined HP on a full-basis, taking up his current position. Kroneld has studied as a media producer at HTU in Gothenburg, and completed a BA in Financial Marketing at Hawaii Pacific University in the US. Georg Schlotter is currently thehuman resources manager for BP Europe SE. Georg is a senior HR Manager and Compensation lead with 9+ years experience in HR & IT, with a strong background in consulting, focusing on performance management, change management and sales force effectiveness. His Specialties include cross border recruitment, virtual teams, business strategy meets HR strategy and organizational change.In his previous roles he has worked in senior roles for Delloitte, SAP, Wolf Thessis, Hewitt Associates and Kofax. • Practical Tips: What’s in it for our staff? Lucas van Wees, VP for HR Commercial and Global at Air France – KLM, will share the journey he experienced going through the merger in 2004 that created the biggest global airline in terms of passenger revenues and the continued ongoing evolution of the company. Dr L.L.G.M. (Lucas) van Wees MBA MBT holds a B.Sc in Tourism & Leisure (Breda) and Masters in Social Sciences (Tilburg), Telecommunications (Delft) in the Netherlands and Business (IMD, Lausanne) in Switzerland. He worked for Philips, Shell and KPN in HR, management and commercial jobs. Since 2001 he is the Vice President HR Commercial and Global for KLM which merged mid 2004 with Air France. Van Wees was co-author or editor for four books and published various (international) articles a.o. for Personnel Journal, the International Journal of Career Management and the Journal of Management Development. Amongst others, he is a member of the Board of the Dutch Association of Personnel Management (NVP) and, on behalf of the NVP, delegate for the European Association of Personnel Management (EAPM) in which 28 European HR associations take part. He was the also the chairman of the Jury of the first EAPM European HR Award, granted in 2009. 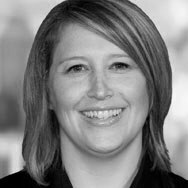 Kerstin Knapp is currently HR Director EMEA for the Agricultural Supply Chain Platform (CASC) in CARGILL. CASC EMEA incorporates the Sugar global trading business, the World Trading Unit and the Grain and Oilseed Sup- ply Chain for Europe, Middle East and Africa. Before joining CARGILL, Kerstin has led the HR Downstream Business at OMV, managing all international HR activities (Austria, Germany, Eastern Europe and for the trading entities in UK and Switzerland). Since 2006 she led and accompanied the restructuring activities in Ro- mania following the merger with Petrol, the largest Oil & Gas producer in Eastern Europe. Prior, Kerstin experienced various HR functions in different sectors, from Retail & Consumer Goods to the Telecom industries in both Consulting- and Management roles. Richard has worked with eBay Europe since 2009 and is currently the operational lead for the European Employee Communications team. 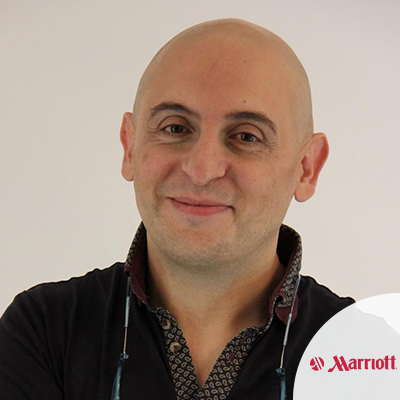 He is responsible for European Team Brief, which last year won the EMEA best employee communication category at the International Association Business Communicators awards. European Team Brief is a highly innovative, weekly, all hands video conference communication channel that has delivered outstanding levels of employee engagement in a fast moving business environment. Before joining eBay, Richard was a freelance communication consultant, managing challenging change and internal communication assignments with major brands including O2, BAA, Cadbury’s, London Underground and Unilever. Previously, Richard held senior management roles as Director Business Support at Swiss Life(UK) and Head of Internal Communication for the UK Ministry of Defence. Richard has an MA Oxon and lives in Surrey, UK. His interests include watching his children play sport, sorting out their digital devices and occasionally he finds time to read, write, paint and play the banjo. • Which social media tool is right for you? • How to use your web-site flow the right way? • How are your peers using social media and linking it to HR? Jean-Noël Thiollier has been Director of Talent & Reward for Euro Disney since September 2008. His responsibilities include defining appropriate recruitment and remuneration policies to make Disneyland® Paris one of Europe's favourite employers. Jean-Noël started his career in London with Ernst & Young before joining the Baxter Healthcare group. Over a seven-year period with Baxter Healthcare, Jean-Noël managed a series of mergers and acquisitions as well as their related human resource restructuring. From 2000 to 2003 he was involved with the Internet boom, working for Vivendi-Universal and managing the development of 'à la carte' remuneration packages in a talent-hungry field. It was from 2003 to 2005 that Jean-Noël worked for Gucci, putting together the human resources structure for YSL-Beauty. Most recently, in 2006, Jean-Noël held the position of Senior Vice President of Human Resources for the French national employment agency, ANPR, in preparation for its merger with the national agency for unemployment insurance. Jean-Noël holds a joint degree from both Paris's La Sorbonne and the University of Manchester. He also holds an HEC-MBA qualification in Strategic Human Resource Management. Charlotte Sweeney has specialised in the diversity and inclusion field for a number of years. She joined Nomura International PLC in April 2009 as Head of Diversity and Inclusion and was brought in to develop and implement the first Diversity & Inclusion strategy. Before Nomura, she joined HBOS plc as Head of Diversity in 2005 and developed the first group wide diversity strategy, including regular diversity reporting within business planning and developing the Diversity Steering Group chaired by the CEO. At the end of 2007 her remit was expanded to include health and wellbeing and introduced the first health risk assessment tool for all colleagues. Prior to this role Charlotte was Diversity Manager at Barclays Plc specialising in age and sexual orientation diversity, for both employees and customers, and designed the e-learning programme Â‘success through inclusionÂ’. She won the Personnel Today DWP Age Positive at Work Award in 2003 for her leading edge strategy for age diversity within Barclays. She is a member of a number of professional fora, including the CIPD Senior Diversity Professionals, HR Directors Club and Institute of Directors. She works closely with the Commission for Equality and Human Rights as well as a number of other diversity and wellbeing campaigning organisations. Charlotte writes for a number of professional diversity publications globally and presents at both national and international conferences. • Changing HR business models: is HR fundamentally changing? • Transactional versus Non- Transactional HR: a sustainable model? • HR in 2012: crisis or opportunity? From January 1992 until December 2011, Alain De Dauw worked for DHL Express in Belgium and Germany with project based international assignments to Singapore and the USA.Alain has 20 years of service with DHL in various HR functions, including serving as Regional HR Manager for DHL Aviation EMEA between 2000 and 2002 and as Global Mobility Manager for the DPWN Group between 2003 and 2005, a role that was responsible for the inter- national assignment management of 800 expatriates. In 2010 and 2011, Alain was responsible for the relocation of the Brussels based EUHQ to the Global Head Office in Bonn, Germany. From 2008 until 2010, Alain was VP HR Global Head Office and Global Aviation for DHL Express based in Bonn, Germany. This HR role is responsible for the 200 global senior leaders in the Head Office and for the Global Aviation Function including 500 management positions, 4000 airline employees managing 350 aircraft operating 750 flights per week day. 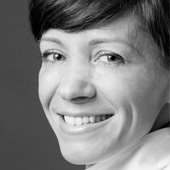 Kerstin Knapp is currently HR Director RLG Europe at Richemont. Before working in Richemont she was Head of HR, Agricultural Supply Chain EMEA & Grain Oilseeds Supply Chain Europe, CASC in Cargill. CASC EMEA incorporates the Sugar global trading business, the World Trading Unit and the Grain and Oilseed Sup- ply Chain for Europe, Middle East and Africa. Before joining CARGILL, Kerstin has led the HR Downstream Business at OMV, managing all international HR activities (Austria, Germany, Eastern Europe and for the trading entities in UK and Switzerland). Since 2006 she led and accompanied the restructuring activities in Ro- mania following the merger with Petrol, the largest Oil & Gas producer in Eastern Europe. Prior, Kerstin experienced various HR functions in different sectors, from Retail & Consumer Goods to the Telecom industries in both Consulting- and Management roles. 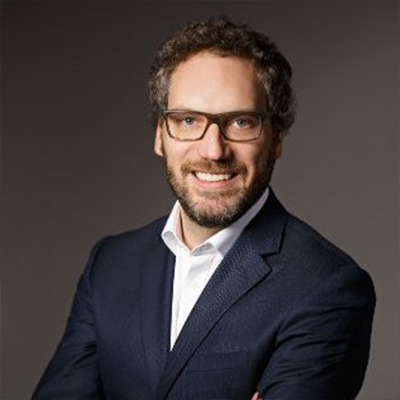 Since 2014, Jean-Noël is Chief People and Inclusion Officer France, Turkey, MENA and Global Change Lead HR Effectiveness at Dentsu Aegis Network. Previously Jean-Noël held the position of Senior Vice President of Human Resources for the French national employment agency, ANPE, in preparation for its merger with the national agency for unemployment insurance. He was also the Director Talent & Reward for Disneyland Paris from September 2008 till July 2013. His responsibilities included defining appropriate recruitment and remuneration policies to make Disneyland® Paris one of Europe’s favourite employers. Jean-Noël was Vice President HR for the EMEA region at Tech Data.